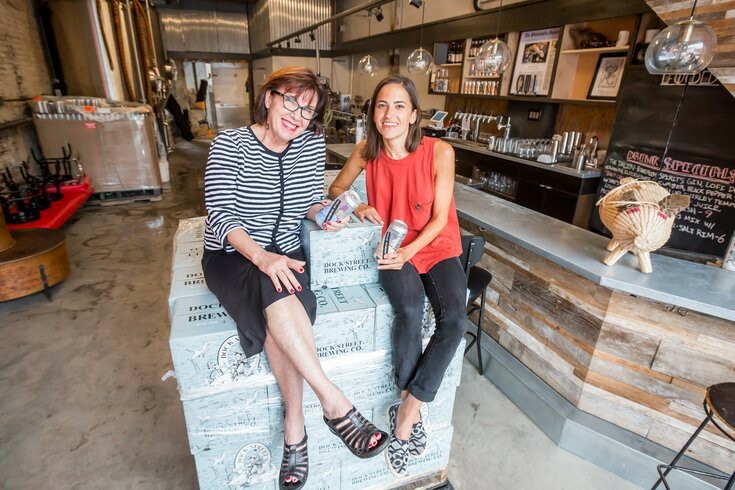 Rosemarie Certo, founder and president of Dock Street Brewing Company, left, and vice president Marilyn Candeloro pose for a photo in their newly-opened canning facility at 705 S. 50th St. in West Philadelphia. Dock Street, one of the few women-owned breweries in the country and Philadelphia’s first brewery since Prohibition, is fast approaching its 10th anniversary at its location in the Cedar Park section of West Philly. Just months ago, Dock Street opened a cannery operation next door, more than doubling capacity. By night, the cannery space serves as a cool lounge Thursday through Saturdays. There’s an emphasis on beer-based cocktails and local spirits, including Vicio mezcal, an affiliated Dock Street brand distilled to specification in Oaxaca, Mexico. It’s all something of a touchstone for the reborn brewery, a brand with a more than three decade history in several iterations. The brewery has Philadelphia history going back to 1985 — before the craft brewing craze really blossomed. They will celebrate Aug. 31. It all started when Rosemarie Certo and her then-husband, Jeffrey Ware, quite literally cooked up Dock Street at home and started looking for investors. “Some was horrible, but we were enthusiastic,” she recalled of the reaction of friends to some of their experimental brews. A tasting party built around the pilsner resulted in a flow of capital. Just a few years later, Dock Street opened a brewpub in Center City, near the Four Seasons. By the mid-1990s, Dock Street was one of the largest craft breweries in the country. Then came the rough patch. 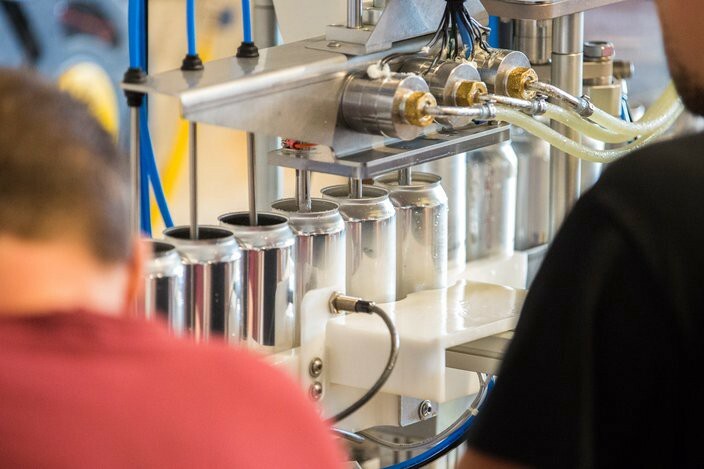 Fresh cans of Dock Street Brewing Company’s ‘Golden IPA’ come off the canning line in its new facility. Squabbling with investors, Dock Street’s originators sold out their end of the business in 1998 to a descendent of the Ortlieb’s beer family, which then operated as Poor Henry’s Brewpub. But that business closed in 2000. Certo, with an educational background in literature, philosophy and photography, but the heart of an entrepreneurial businesswoman, bought the Dock Street name back two years later. She set about rebuilding the brand. A native Sicilian whose family grew grapes and olives in Italy before she emigrated to the states at the age of 10, Certo said she learned what it takes to craft something by hand and to succeed from her childhood experiences and her family. As part of that, Certo spent two years lining up the brand’s location, at 50th and Baltimore, on the fringe of University City. In its decade there, the brewery has not only rebuilt its name, but also established itself as a hub for the community. 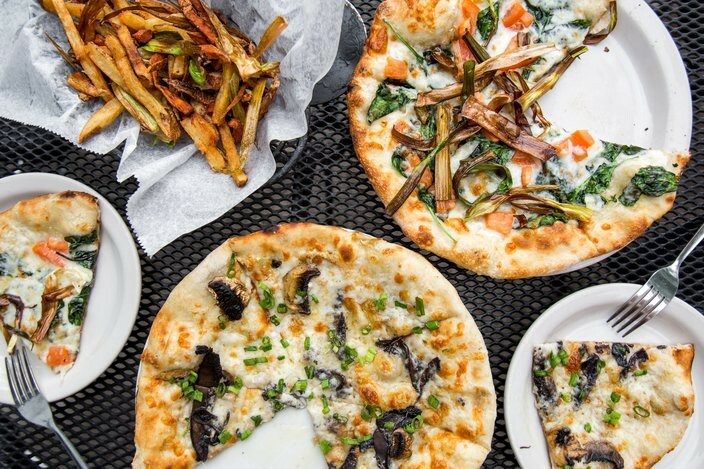 The location is in large part built around a wood-fired pizza oven installed within the brick firehouse, where innovative thin-crust pies serve hipsters and families alike. One regular patron told PhillyVoice the presence of Dock Street even influenced her family’s decision to buy a nearby home. Her family celebrated their daughter’s first birthday there recently, but later in the evening the place is crowded with younger urbanites. Part of the brand’s rebirth is Marilyn Candelero, who began doing design and marketing for Dock Street following a stint with seafood purveyor Samuels and Sons. Within two years, Candelero became Dock Street’s vice president, meaning its top two executive posts are held down by women. She’s become so integrated into the fabric of the business that she’s moving from Collingswood, Camden County, to a home just blocks away in West Philadelphia. 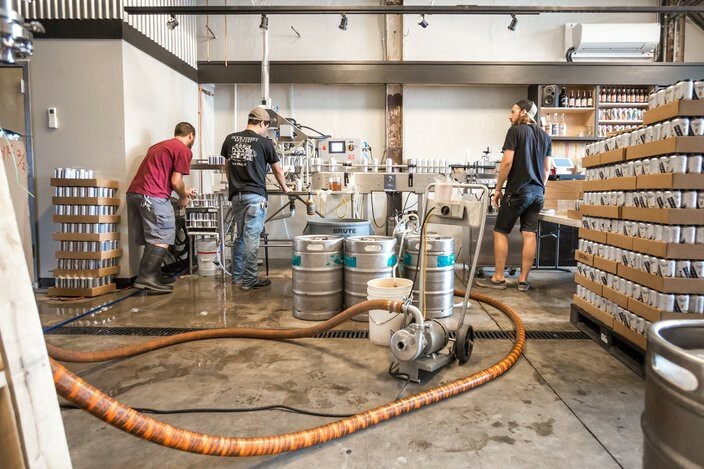 On a recent day, Certo and Candelero talked about their enterprise as canning operations were wrapping up for the day in the buzzing beehive of a space, which is just behind the converted firehouse. Certo said her brewer, Mark Russell, and other employees “wore down” her resistance to canning. Candelero added the new drinking space has beckoned “Uber drop-offs” and Zagat has taken note. 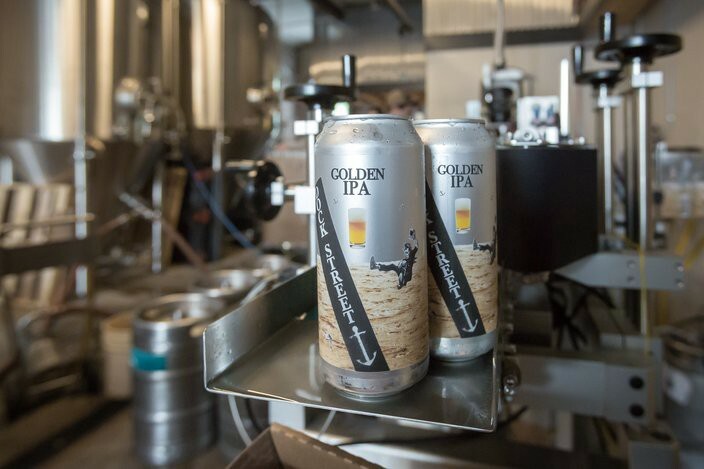 Dock Street’s pils, Rye IPA and Golden IPA are the label’s stalwarts, but the brand has kept a buzz going by frequently releasing seasonal, partnership and limited-run beers. Candelero, who handles much of the promotional work, explained the brand’s history — “the Dock Street story” — is a large part of what made her want to stay and grow with the brewery and with Certo.